August 12th, 2014 | Organizing and Decorating. The dining room’s main function is serving meals, eating and socializing on special occasions. The well-defined purpose leaves you with a clear goal in organizing the room: to make serving and enjoying meals as pleasant and simple as possible. The dining room is defined by the furniture you use and the “service circle.” The service circle incorporates the dining table and the area around it. The service circle may also include a storage cabinet for crystal, china and silver and a sideboard or side table to ease the serving of the meals. Start by organizing the table. Remove everything that is stored there and determine whether the items belong there. If they don’t, then they should be moved to a more appropriate place in the home. Once you know what needs to be stored in this area, this will help you determine what additional storage you will need. The most common issue with the dining room table is where to put the leaves and pads (if they come with your table). The best option to store these is in a closet close to the dining area. If you are buying a new table, consider buying one that comes with self-stored leaves and pads that don’t require any extra space. While relocating, you probably encountered how difficult it was to pack fine china, crystal and sterling silver. Storing these valuable items is no different. A traditional hutch or china cabinet is used for both storage and decoration and is best for storing these highly valued items. Stack it where it is unlikely to receive any kind of blow to the edges of plates and saucers or lips of cups. Place buffers such as felt pads, cardboard squares or even thick cloth napkins between the plates. Never stack china cups. Racks for plates and dishes – There are simple wood or plastic frames with slots that hold plates apart from one another. 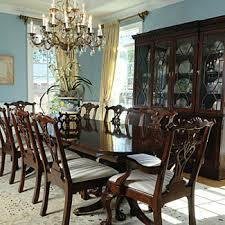 They are made to sit securely on cabinet shelves and organize plates to you can easily remove them. Pack away China – If you don’t use it a lot, there are quilted china packing cases to accommodate the number and sizes of your collection. These come equipped with zippered openings to prevent dust and dirt. 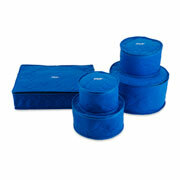 If you are packing fine china away, use quilted/cloth packing cases. Crystal is prone to scratches, which is essential to prevent when storing. Leave plenty of room between, never store anything inside crystal, don’t hang crystal stemware, store glasses standing up and avoid keeping on or under adjustable shelves. Just like fine china, you can also store in padded boxes or containers. Sterling silver is extremely sensitive to its environment. Store silver away from other metals in a chest or box. Tarnish-resistant storage bags are also an option for storage. It’s best to keep silverware in its container in the cabinet or drawer. Store linens close to where they are used. Place in a concealed area of the hutch or the sideboard. Lace or embroidered table cloths should be wrapped in acid-free paper. Regularly rotate and refold your linens to prevent creases. Dried lavender sprigs in the folds will repel insects and lightly perfume the fabric. Sideboard holds food while serving and stores vessels and utensils used when serving food. Keep the area uncluttered to provide a place to work with the food you are serving. The lower storage should be dedicated to over sized serving items. Depending on the size and capacity of your hutch and sideboard, you may need extra storage for seasonal items and replacement supplies. Because of the limited space, more furniture is usually not the answer. Shelving, hanging plate racks and wine racks are natural additions for more storage. Every few days, walk through the dining room and do a clutter inspection to ensure that nobody has left items on the dining room table or sideboard. Remove what you find and place it back to where it belongs.